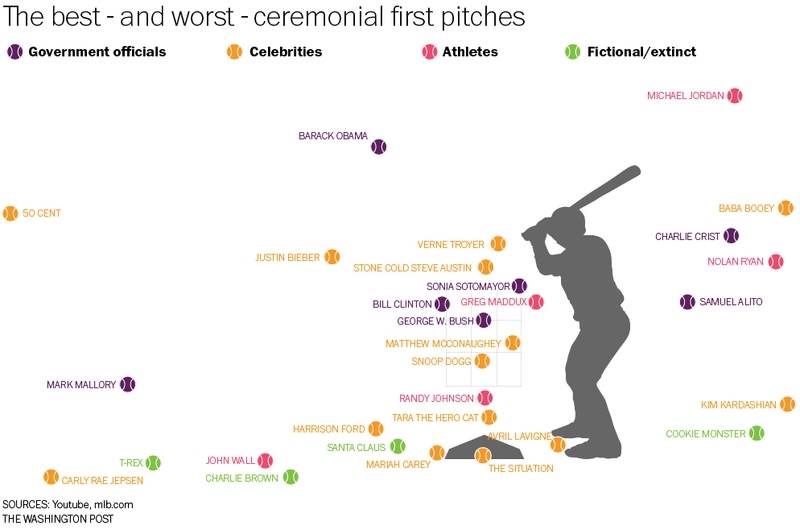 As the above graphic shows (click to embiggen), the Post categorized first pitches by government officials, athletes, celebrities and the fictional/extinct. That last group included Santa Claus, Cookie Monster and the ever-lovable T-Rex (the Cretaceous Period carnivorous dinosaur, not the ‘70s glam rock band). 50 Cent’s effort at a recent Mets-Pirates game was at least 12 feet off the plate. His form indicated it would be best if he didn’t quit his day job. What’s more disquieting about the graphic is some of the individuals Major League baseball teams allow to throw out ceremonial first pitches. Presidents, Supreme Court Justices and former athletes are understandable; pop culture figures that are famous for being famous, not so much. 50 Cent, whether or not you care for his music (or other endeavors), can at least be said to have actually accomplished something. Both nations, however, were militaristic and bent on expansion, and both were at opposite ends from a common foe – the Soviet Union – so there was much in the union that made sense. Germany’s alliance with Italy, however, was much less logical, at least from the Italian point of view. 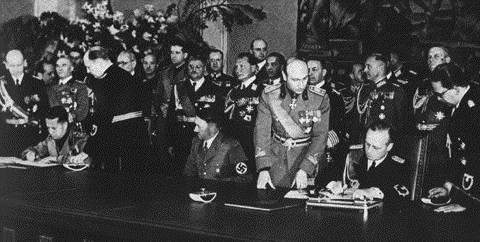 Outside of being led by a pair of dictators who embraced fascism, there was actually a great deal of difference between Mussolini’s Italy and Hitler’s Germany when the Pact of Steel uniting the two countries was signed 75 years ago this month. The two nations had fought on different sides in World War I, with Italy being a member of the victorious allies that laid down what Germans saw as the draconian terms of the Treaty of Versailles in 1919. And while Germany lost the First World War, it acquitted itself well while Italy’s performance was seen by many as less than spectacular. Despite having invaded and captured Abyssinia (today’s Ethiopia) in the mid-1930s, assisted Franco in the Spanish Civil War and taken over Albania in 1939, Mussolini knew his country suffered from a number of military shortcomings. It had relatively few tanks and those it did have were of poor quality; its artillery was of World War I variety; and the nation’s primary fighter was a biplane that was obsolete compared to monoplanes used by the other major countries. Also, while the Italian navy did have several modern battleships, it had no aircraft carriers. Italy recognized its military inadequacies. Under terms of the Pact of Steel it was stipulated that neither country was to make war without the other earlier than 1943. But recognizing his military was ill-prepared Mussolini declined to get involved when Germany invaded Poland in September 1939. Italy finally joined the conflict on June 10, 1940, mostly because Mussolini, having seen the lightning speed with which Germany was dispatching its European foes, was afraid he’d get none of the spoils. On June 17, 1940, the day France sought surrender terms from Germany, Mussolini ordered an Italian invasion of southern France. Beginning with this swarm of narcissists. You have your orders. 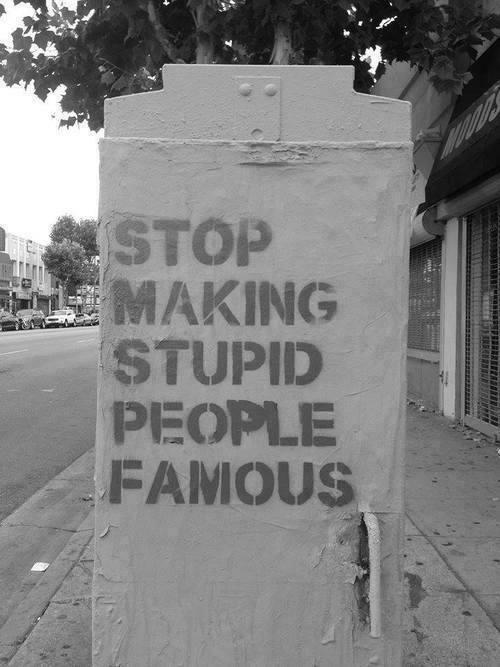 For society’s sake, make it so. In late 1941, the Jewish immigrant ship Struma, overcrowded, 75 years old and fitted with an unreliable second-hand diesel engine, was jammed with 770 refugees, bound for Palestine from Axis-allied Romania. The vessel’s engine failed several times before it arrived in Istanbul in mid-December 1941 and she had to be towed by tug into the neutral port. Turkish officials ordered all 769 passengers to remain aboard and ultimately refused them transit. In late February 1942 the boat was towed into the Black Sea and set adrift. Within hours Soviet submarine Shch-213, prowling the waters for German and Italian ships, torpedoed the Struma, killing all but one of the 780 refugees and crew onboard. The lone survivor was 19-year-old David Stoliar, who was plucked from the icy water by a Turkish fishing boat. Stoliar, who died this month at the age of 91, eventually was able to make his way was first to Lebanon than to Palestine with the help of Istanbul’s Jewish community. The following year he enlisted in the British Army and saw action in North Africa. Upon his release from the British Army, he returned to Israel and joined the Israel Defense Forces. In the 1948 War of Independence he fought as a machine gunner, according to the Israeli newspaper Haaretz. Stoliar had more than one lucky break in his life. A huge previously unknown hexagonal wind pattern may exist at the south pole of the planet Neptune, Slate astronomy reporter writer Phil Plait posits in an article completed with stunning photography. 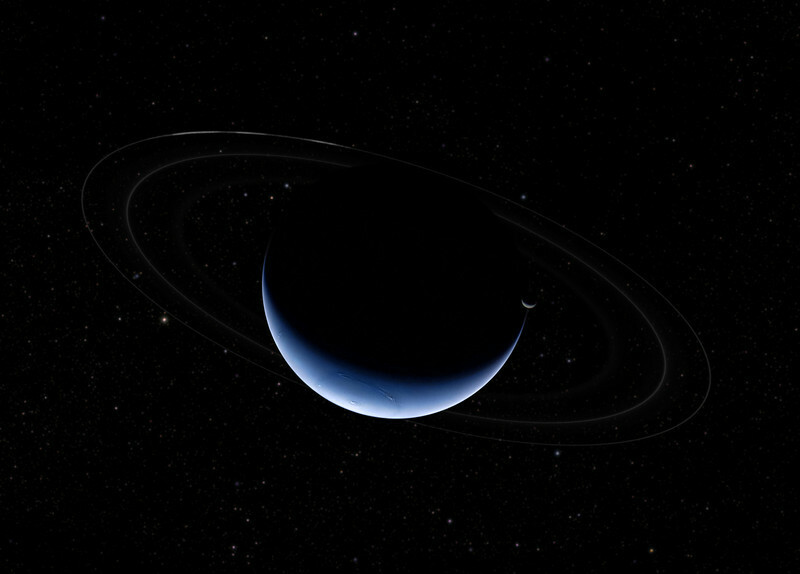 Neptune, which is 2.7 billion miles from Earth, is little known relatively speaking, and there have been many things scientists have gleaned from Voyager’s pass-by en route to its destination with interstellar space. However, one thing that not yet recognized was the possibility of a large hexagonal wind pattern, much like the one that blows around the north pole of the planet Saturn, according to Plait. The Slate writer has contacted an astronomer whose specialty is the outer planets of our solar system about the pattern shown in the image. She, in turn, contacted other astronomers. All expressed excitement, but also prudence, cautioning that it’s easy to be fooled when looking at images of distant celestial bodies. One thing for certain is that the hexagonal wind patterns do exist on Saturn. There are many skills which I willingly admit are beyond my grasp: Hitting a Major League curveball; reading a Papal bull in original Latin; and being able to sculpt human forms from marble are among talents I don’t see myself picking up anytime soon. Another aptitude which I find myself decidedly deficient is the comprehension of physics inherent in the upper end of periodic table of elements. That’s the sort of egghead knowledge that you don’t pick up in Chemistry 101 (especially if you were noted for not paying attention). Typically, elements heavier than uranium are not usually found in nature but can be produced in laboratories. This effort comes with a caveat, however. 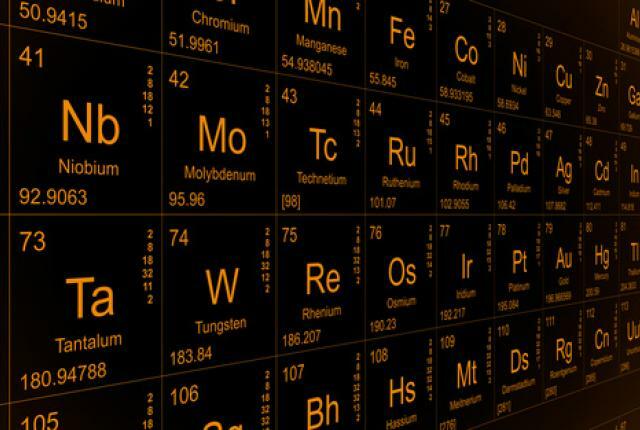 At present, element 117 has the placeholder name of ununseptium, which will be used until it is formally accepted and added to the periodic table by the International Union of Pure and Applied Chemistry. The creation of element 117 was no trifling matter as researchers smashed calcium nuclei (with 20 protons apiece) into a target of berkelium (97 protons per atom). The experiment was exceedingly difficult because berkelium is difficult to obtain.